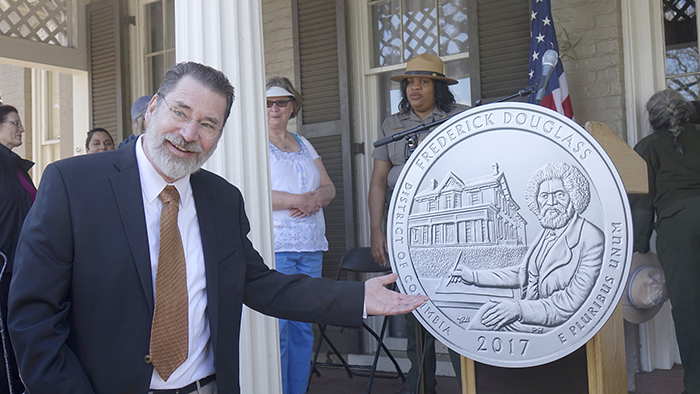 (Washington, D.C)—Last Tuesday (April 4, 2017), officials from the U.S. Mint and the National Park Service (NPS) celebrated the release of the America the Beautiful Quarters Program coin honoring the Frederick Douglass National Historic Site in Washington, D.C. 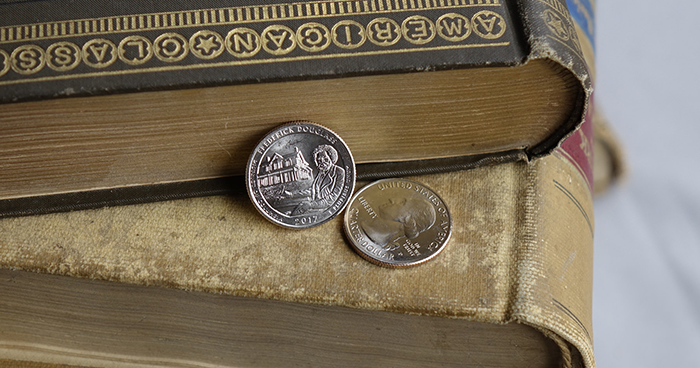 The coin’s reverse design depicts Frederick Douglass seated at a writing desk with his home in Washington, DC, in the background. Inscriptions are FREDERICK DOUGLASS, DISTRICT OF COLUMBIA, 2017, and E PLURIBUS UNUM. 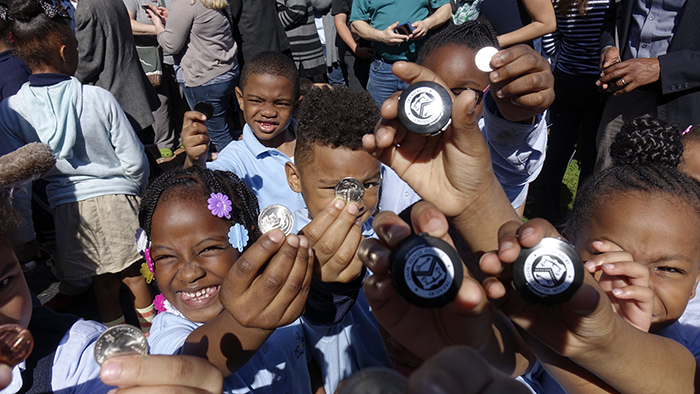 The coin was designed by Thomas Hipschen, Mint Artistic Infusion Program artist. to things needed to be done. 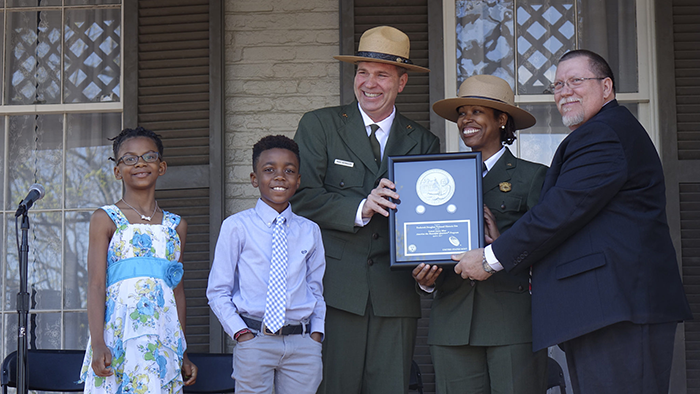 Motl was joined by NPS acting director Mike Reynolds; Frederick Douglass National Historic Site superintendent Tara D. Morrison; and Tristan Breaux, district director for Congresswoman Eleanor Holmes Norton. 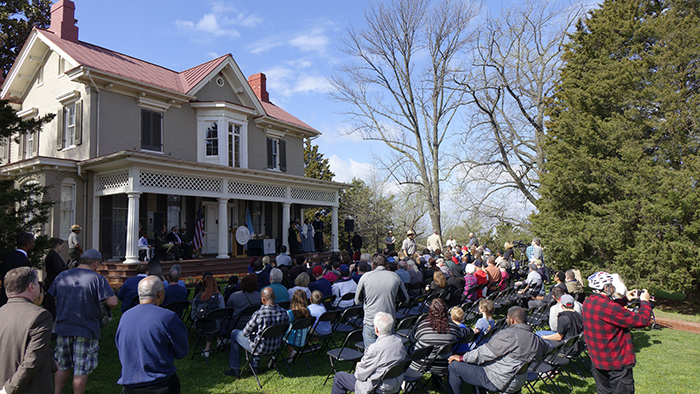 Ceremony highlights included recitations of Frederick Douglass speeches by Maryland-area homeschooled students Gabrielle Sutherland and Silas Montgomery, winners in the 2016 Frederick Douglass Oratorical Contest; and entertainment by the Washington Revels Jubilee Voices, a local ensemble that performs Civil War–era music. Hipschen was acknowledged for his work on the coin. The 2018 Red Books are now shipping! Click here to see the hardcover, spiral-bound, wire-o, and large-print editions.